As we enter the second month of Spring, I wanted to share an update on two important initiatives that UMMA has been diligently working on. Before I do however, I am happy to share that in 2017 alone, UMMA saw over 7,200 individual patients which translates into 24,000 visits. This is up 10 percent from the previous year, and our impact continues to increase year after year because of dedicated supporters like you. 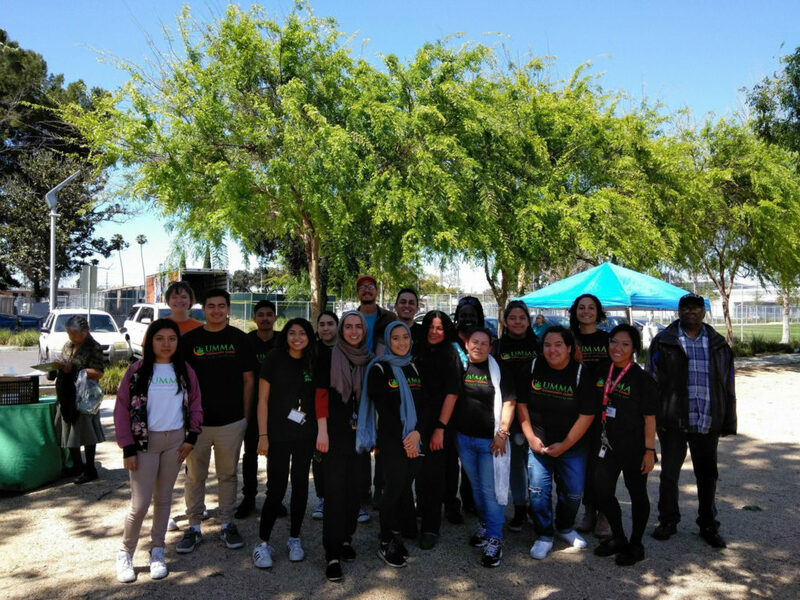 As an organization we continue to also think upstream, and have expanded our Free Food Market at the Fremont Wellness Center and now in partnership with the Los Angeles Neighborhood Land Trust and LA Food Forward, are a regional distribution site giving away over 15,000 pounds of fresh fruits and vegetables biweekly to our patients and the community at large. We fundamentally understand that increasing access to healthcare also means increasing access to healthy food options, that in turn provide for better health outcomes. I am also happy to report that we have re-launched our internship program welcoming in 6 bright interns who are assisting our staff and community from areas of member services, development, and care coordination. Since March alone, our interns have logged over 350 hours of dedicated volunteer time. This is what has been at the core of UMMA’s founding, the audacity that a group of strong-willed volunteers could pool community resources and deliver high quality care to all, regardless of the ability to pay. We are continuing to build upon our newly refreshed internship program, and encourage you to recommend or join us in helping to empower our community. We also invite you to join us once or twice a month for our farmer’s market, where you can help the community and patients take another step towards leading a healthier life. The health policy landscape continues to navigate through uncertain waters, however your commitment to UMMA and the community we serve has allowed us to provide high quality care to our patients in such a climate. Because of your help, we have detected cancer early, we have provided prenatal support to mothers all the way through delivery and after, we have helped seniors in the community adhere to medication, and we have been able to help our patients fight back against chronic illnesses. For that and so much more, I’d like to thank you for your continued support. As we head into the summer months, I invite you to come visit us and see the impact we are having in helping to change the trajectory of people’s lives every day. Your support makes all of this possible, and means so much to us and the community. Thank you. Help out at our Free Food Market! 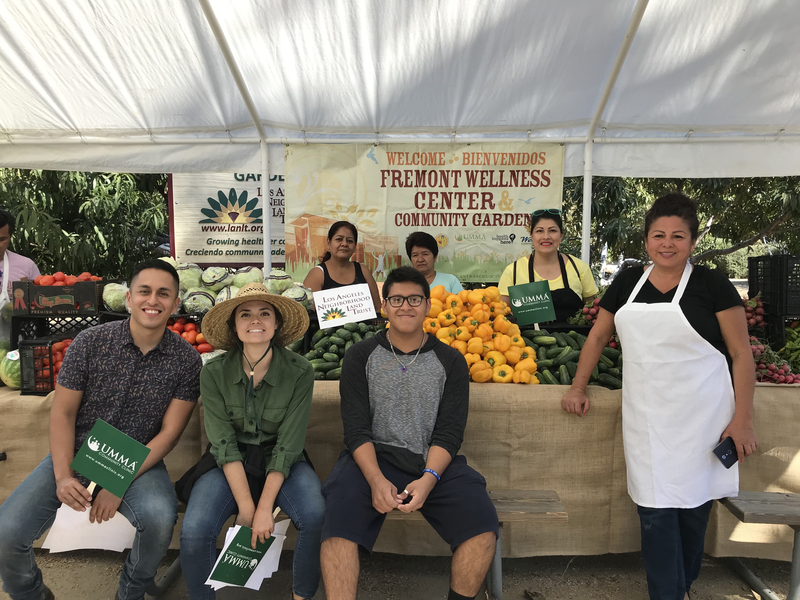 We hold our Free Food Market at the Fremont Wellness Center and Community Garden on the 2nd and 4th Wednesdays of every month, but need your help to keep it running smoothly! Interested? Reach out to our Volunteer Coordinator, Constance, at cbiteye@ummaclinic.org. Individuals and groups are welcome! Click here to view UMMA’s full April 2018 newsletter.